What is the most important aspect of a beginner instrument? The simple answer is playability. Young people should not be discouraged by an instrument that is difficult or impossible to manage, or they risk losing interest and choose to quit. Teachers understand this all-too-well. They see instruments every day that are not adequate for the needs of the player. You WILL find cheaper Basses on the internet. We have seen these instruments in our workshop because customers bring them in for service. These instruments always require more work that is worth spending. A teacher that is a friend of our shop, calls these things "instrument-shaped objects" because they are not truly musical instruments. You will not find a cheap Bass on our website. These modern Chinese made instruments are popular for beginning students, rental programs, and school music programs around the country. Made for us by a very well known workshop. Laminated construction, high quality Ebony fingerboard, bridge with adjusters, and other high quality parts. 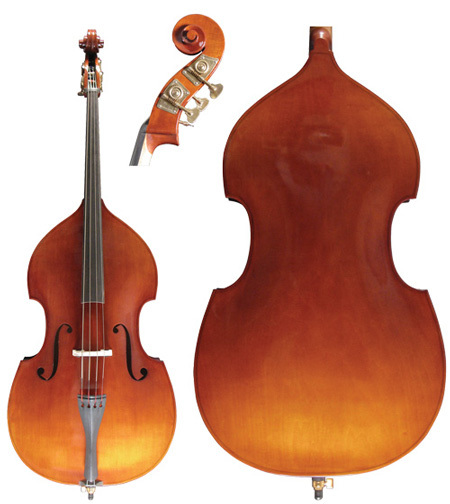 This model is similar to Concertino in every way, but has an antiqued style finish. 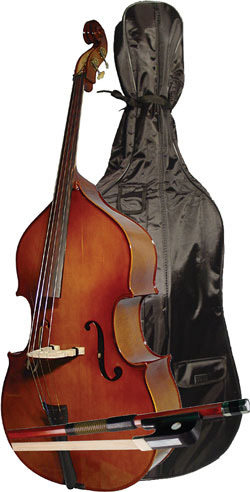 Perfect for the working musician who wants the dependability of a laminated bass, but the look of a higher end instrument. A fully laminated bass, made in China. Suitable for any beginning player, school music program, and also a popular choice for rental programs around the country. 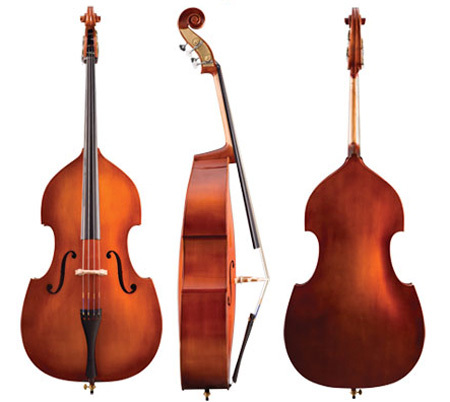 Quality Chinese made basses, popular with school music programs, and rental programs around the country. Fully laminated spruce and maple veneer. Aged maple neck. 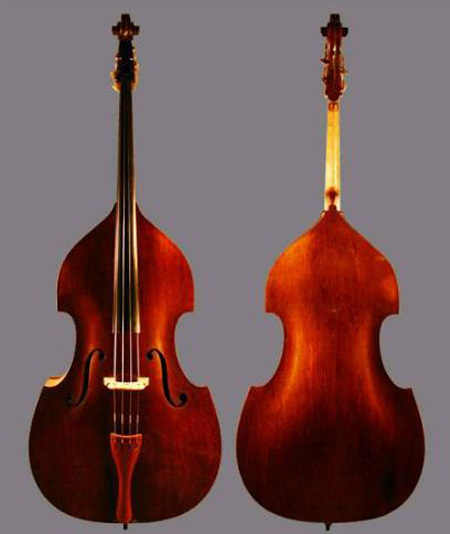 Violin or gamba shape.